If you’re looking for cat videos, birthday reminders, and a method for spying on old friends then Facebook is pretty useful, but for cold hard facts? Well, actually we’re overstepping here. It’s really not Facebook. After all, Facebook is kind of like a blank sheet of paper. The paper doesn’t tell the truth or lies, it’s the person who writes on the paper. On the Garden Professor’s Facebook page we do a pretty good job of offering science based information to people. It’s not perfect, but it isn’t bad either. And there are certainly other good Facebook pages too, mostly associated with various Universities. Is this information, which comes from popular press articles, really research based? We’re not sure….can’t seem to find it in the literature. Here’s the funny thing, as far as we can tell, with very few exceptions these articles have been “unshared” by those in charge of the Extension Master Gardeners Facebook page (we checked last week — and we do acknowledge that facebook does some funny things — but we know these were shared and we now can’t find them) — and all of those articles came from one person, Sylvia Hacker. That’s a shame because these articles make you think, and they’re based on science. I’m not going to say all of the conclusions are correct, but Master Gardeners are supposed to be thinkers and certainly have the mental capacity to read these articles while critically balancing the arguments presented against other things they’ve read. 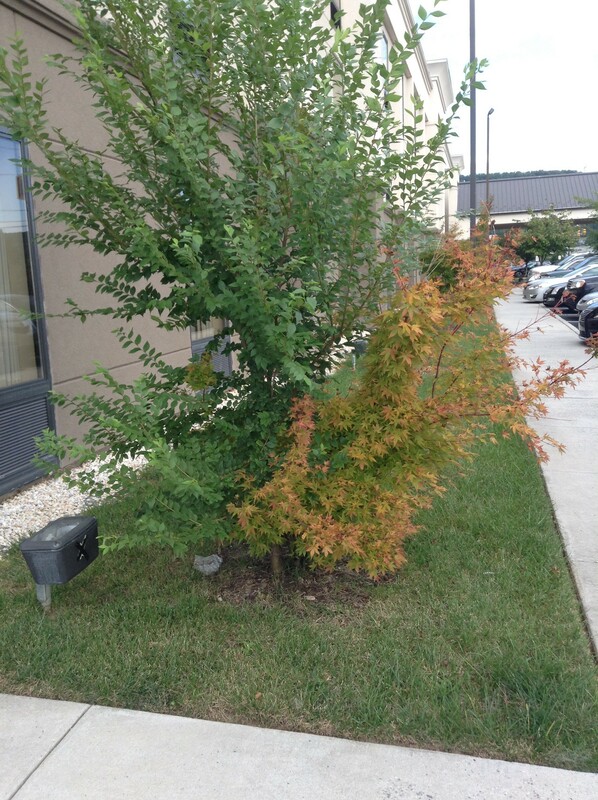 Additionally, Master Gardeners are often asked questions about this kind of stuff. Since they’re asked the questions, isn’t it appropriate to be conversant in what the public at large is hearing about the topic as well as what current mainstream science writers are saying about it? Look, some people complain or make nasty comments about articles like this because they have strong feelings about certain things. For example they’re strongly anti-GMO or pro-organic. But the thing that separates Extension Master Gardeners from a gardening club is that they literally have a duty to promote science based information such as that contained in the articles which Sylvia posted. To back away from this duty by removing already posted science based articles on Facebook is to allow science to lose. Sylvia Hacker was recently released from her responsibilities on the Extension Master Gardener Facebook page where, over the course of only about 2 years, she helped raise the number of likes from about 3,000 to over 13,000 because she thought it was important to be proactive and to spread relevant science based literature which the general public was reading and responding to – regardless of whether it was controversial or not. Here is the letter she received regarding her dismissal. We leave it up to you to decide whether her release was appropriate or not. The Cooperative Extension Services across the United States are tasked with disseminating objective, research-based information. Some of your recent posts to the Extension Master Gardener Facebook page have not met that standard. Some have been needlessly confrontational while others have linked to popular press articles with insufficient scientific documentation. You noted in a message on the National EMG Social Media Team “that Extension isn’t timely, can’t respond to trends or current issues” and that its content is “too boring.” Given your apparent lack of respect for Cooperative Extension as a whole and its affiliated program, Extension Master Gardeners, I regret to tell you that you will be removed as an administrator of the Extension Master Gardener Facebook page. Sometimes it’s fun to experience life unfolding around you. This past week I started my new position as the Director of the UNC Charlotte Botanical Gardens and am very excited to be working with my old friend (she’s not old – I’ve just known her a long time) Paula Gross, Assistant Director of the garden, a fantastic horticulturist, and one of the best people you could ever hope to meet. Together with our highly skilled staff we’re going to be working to bring the world of plants to people. It’s an exciting time in my life, and hopefully an exciting time for the gardens too. That said, I’m sorry to be leaving Central Piedmont Community College. I have never seen instructors so devoted to their students as at this community college. So often at large universities professors teach because they have to, not because they want to. At community colleges, and particularly at CPCC, the opposite is true. These highly skilled instructors really care. If you are looking for a degree in horticulture I strongly recommend considering a two year school because of the cost, the attention to students, and the hands on education that most four year schools can’t compete with (I know that sounds silly, but speaking as someone who spent fifteen years working as a horticulture professor in a large university I can tell you that it’s simply the truth). Here’s the official announcement. The only thing I’d like to add here is that we’d love to have you stop by! 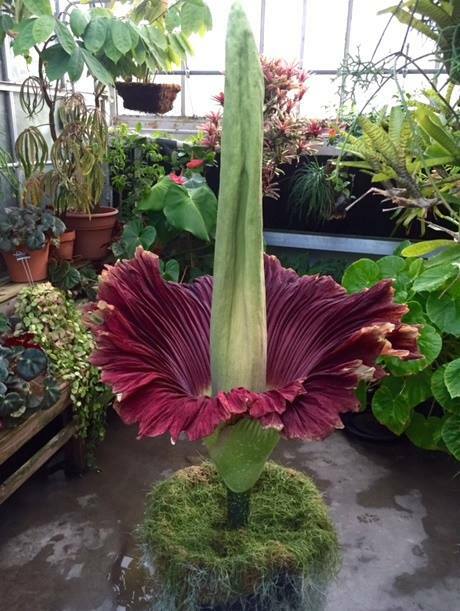 We are a wonderful little garden in the North of Charlotte with a lot of fascinating carnivorous plants, orchids, a great landscape collection, and a titan arum that just bloomed and which now appears to be setting seed. We hope to see you soon! Hey, Consumer Reports Wrote Back! And Yes, They Are Comfortable Recommending Useless Chemicals That Might Cause Cancer! Two weeks ago I wrote an open letter to Consumer Reports voicing my concerns about some recent articles they had published regarding lawn and garden care, as well as reiterating some issues that Linda Chalker-Scott Ph.D. had with one of their stories. You can read the article for yourself, but the long and short of it is that they made some weed control recommendations that don’t work and recommended a chemical which might cause cancer. Honestly, I fully expected my post to be ignored, but you guys grabbed onto it and posted it over on the Consumer Reports Facebook page and, amazingly enough, they wrote back to me that night and told me they’d get back to me! Man, was I excited, because hey, even though I’m no longer with a University Extension Service I still have that “impact” mentality. I was looking forward to Consumer Reports writing a little letter in the front of the magazine saying that their recommendation was faulty and that they would do better in the future. Or at least I was expecting them to write me a little note saying hey, we were wrong, and in the future they’ll do better. Look, I’ve worked with pesticides and plants for over 20 years, and to have the chance to influence Consumers Reports, a magazine whose integrity I’ve respected for years…. and maybe even help them see where they’d gone wrong and improve their future recommendations?…Wow…This was a dream come true! After a week I was getting a little antsy, but they wrote back again, told me some people were on vacation delaying their response, and I’d get something soon. Then last Thursday they sent me the letter which I have included at the end of this post. It was totally worth the wait! The first thing I noticed was that Linda Chalker-Scott had somehow lost her Ph.D.. I think I speak for most Ph.D.s when I say that it isn’t a big deal if you don’t include our degree when you write to us, but if you write a letter to two Ph.D.s and include the Ph.D. for one and not the other it’s a little weird, especially if the Ph.D.s are a man and a woman and the man gets the Ph.D. and the woman doesn’t. But I quickly got over any insult I felt for Linda because hey, they misspelled my name. Linda and I have both been insulted before, but to insult us both before even starting the body of the letter? Now I knew I was in for a good read! In our letters Linda and I voiced concerns about the efficacy of the treatments that Consumer Reports was offering. With that in mind I provided in my letter my name and a few of my credentials demonstrating that I had some idea of what I was talking about when it came to weed control. Consumer Reports obviously took this very seriously and when they wrote back to me they provided the names of the organizations they contacted for information including “experts from the Beyond Pesticides and the Great Healthy Yard Project”. The experts themselves went unnamed. Though unnamed, they did provide the credentials of the experts from these organizations, namely that they were “two groups we’ve consulted in the past.” Wow, impressive. Let me be clear here, these are two fine organizations with worthy goals and good people, but do they have people on staff whose horticultural knowledge approaches the two Ph.D.s and decades of experience that Linda and I have? If they do then please let us know. There’s a comment section below. Our degrees and experience don’t automatically make us right, but they do suggest that we deserve to be taken seriously. Specifically, if we tell someone that wiping clove oil on a cut stump won’t kill kudzu or barberry then guess what? IT ISN’T LIKELY TO KILL KUDZU OR BARBERRY. It is not a matter of speed or repeated applications as you infer in your letter. If Consumer Reports doubts the information that Linda or I provide then it would be appropriate for them to contact some other experts with legitimate credentials – regardless of whether they are members of “groups we’ve consulted in the past” or not. Or they could try it themselves. Shoot, this is Consumer Reports we’re talking about. They’re supposed to test everything! To take this a step further, if Consumer Reports were looking for credentialed experts then why didn’t they contact Extension personnel from their favorite state university? Sure, they consulted some extension articles but, based on what was written, I’m not sure they understood what they read. For example, I looked all over and nowhere could I find a University of Minnesota publication suggesting that “going over the lawn with a core aerator might eradicate [dandelions]”. Eradication is a strong word that isn’t usually associated with aeration and, unless they can demonstrate otherwise, I think it likely they’re either misunderstanding or misrepresenting what they read. Actually, this part of Consumer Reports letter was kind of funny because they called it “the University of Minnesota extension”. That’s kind of like saying “the University of Minnesota music” or “the University of Minnesota botanical”. It should be “the University of Minnesota Extension Service”. But I’m being petty. Now to the heart of the letter, and my greatest concern since it deals directly with Consumer Reports status as an advocate for consumers. I am no fan of any pesticide, but I am especially concerned about organic pesticides because, as natural products, consumers often assume that they are necessarily safe. The clove oil recommended to kill the cut stumps of certain plants in the original article is a perfect example. This was a great opportunity for Consumer Reports to demonstrate that natural does not necessarily mean safe. Instead Consumer Reports defended their position stating, simply, that they consider clove oil to be a safer alternative to Round-up. For anyone concerned about the safety of their family I’m sure it’s comforting to know that the precipice they’re hanging over by using clove oil is 50 feet rather than 300. To summarize why I feel they’re making a mistake in taking eugenol so lightly you can view the blog post I made previously and follow those links (To summarize, it offers a study where tumor incidence increased in mice exposed to eugenol and shows that the Registry of Toxic Effects of Chemical Substances lists this compound as a carcinogen). And, just for fun, here are some additional sources that demonstrate that eugenol may have some serious potential to be hazardous to one’s health. These poisonings are only a few of the ones listed in the literature – you can find more, and you can bet that there’s even more that have occurred which simply didn’t get written up. Wait! Wait! I’ve gone too far! Consumer reports did say in their letter that they would include a section which states that: “we will note in the future that the oil can be dangerous if ingested.” That’s great, especially considering the cytotoxicity that this chemical has to human skin cells (see the article above). I know I feel a lot safer now. And the crazy thing here is that anyone using clove oil as suggested by Consumer Reports is subjecting their family to a danger that isn’t even necessary – because clove oil won’t even be effective for many of the purposes for which it was recommended! There’s a lot more to the letter below than what I’ve listed here, but this post is getting way too long. Please feel free to read and comment as you see fit. I will not be renewing my subscription to Consumer Reports this year. I do not necessarily encourage you to do the same, but I do encourage you to let them know how you feel on their facebook page or otherwise. If you don’t, things will not change. I recently read that there was a brain drain at Consumer Reports, I dearly hope that this is not true. If Consumer Reports really wants to advocate for consumers, then let’s hold them to it. Thank you again for your responses to our article “Beat Those Weeds,” which first appeared in the June 2015 issue of Consumer Reports. Though our advice was aimed at homeowners, we appreciate this opportunity to engage with the professional gardening community, and we welcome any additional insights you have into the issue of sustainable lawn and garden care. Our goal was to introduce homeowners to non-toxic forms of weed treatment. As we noted in the article, the average yard contains 10 times more chemicals per acre than a typical commercial farm, according to the U.S. Fish and Wildlife Service. The article also alerted readers to the fact that the International Agency for Research on Cancer, a division of the World Health Organization, had recently designated glyphosate (the active ingredient in herbicides like Roundup) as a probable carcinogen. In developing our list of alternative weed treatments, we worked with experts from the Beyond Pesticides and the Great Healthy Yard Project, two groups we’ve consulted in the past. We also referenced numerous cooperative extensions. For example, our point that aerating soil can help control dandelions is supported by the University of Minnesota extension (on whose faculty we understand you served, Dr. Gilman), while the statement about Canadian thistle being common in vegetable gardens with peas and beans came from the Penn State extension. As you know, lawn and garden care often involves a lot of trial and error, and there’s no shortage of controversy surrounding certain techniques (for years we’ve said corn-gluten meal can be an effective natural pre-emergent herbicide, though we know there are those who disagree). It’s also true that “home remedies” usually aren’t as aggressive as chemical treatments. We tried to make this clear by telling readers that repeat applications would probably be necessary with certain methods, though perhaps we could have stated the fact more clearly. Again, our principal goal was to offer safe treatments, not necessarily those that deliver the fastest results. That takes us to your point about clove oil, which we offered up as an effective treatment for barberry and kudzu. You note that its main ingredient, eugenol, is classified as a carcinogen by the Registry of Toxic Effects of Chemical Substances. You also reference a case in which a 2-year-old child nearly died after drinking between 5 and 10 ml of clove oil. We would certainly agree that clove oil should not be ingested. However, we would also note that, according to the World Health Organization’s International Agency for Research on Cancer (WHO IARC), eugenol is classified as Group 3, where there is limited evidence for carcinogenicity from experimental animal studies. Glyphosate, on the other hand, was recently classified by the same agency, WHO IARC, as Group 2A, a probable carcinogenic to humans, due to limited evidence of carcinogenicity in humans for non-Hodgkin lymphoma from agricultural exposure studies and sufficient evidence of carcinogenicity from experimental animal studies. So relatively speaking, we feel strongly that clove oil is a safer alternative to Roundup. However, we will note in the future that the oil can be dangerous if ingested. Moving forward, we will also emphasize the advice you end your letter with—that the most effective, safest, and easiest way to eliminate weeds is to pull or dig them out. On that point, we couldn’t agree more. Thank you again for your feedback. We look forward to more spirited collaboration and dialogue on future lawn and garden-related content. Posted on August 2, 2015 Author jeffgillman003Categories Uncategorized9 Comments on Hey, Consumer Reports Wrote Back! And Yes, They Are Comfortable Recommending Useless Chemicals That Might Cause Cancer! One of the coolest plants you’ll ever see is the titan arum. It varies quite a bit in height, but this one, named Odie, measured just a little over five feet tall. This amazing corm bloomed at the UNC Charlotte Botanical Gardens last week. Unfortunately the bloom only lasted for about two days, and during that time the area around it smelled just like roadkill. We are now waiting to see whether a fertilization attempt was successful. If it was then soon (a few long months) we may have baby Odies! #1 The article that Linda reviewed made a recommendation which is not only questionable in terms of its efficacy, but also its safety. #2 You recently published another article on a very similar topic which is misleading. In the article Beat Those Weeds (Which was, somewhat ironically, published in the YOUR ADVOCATE section of your June 2015 magazine) you list clove oil as a useful treatment to kill the cut stumps of barberry and kudzu (you do note for one of these plants that repeat applications may be necessary). As someone who has tested clove oil products, I can assure you that trying to use these products to kill the root systems of these weeds is an exercise in futility. Clove oil is a contact poison that kills what it touches. It is not systemic and will not kill the whole plant because a cut end is treated. Roundup is a systemic and will work this way. I certainly understand wanting to avoid Roundup. I am fully aware of its recent designation as a probable carcinogen (though I wish your magazine had spent some time explaining exactly what this means to your readers). On the other hand, I wonder why you couldn’t provide some more realistic information on how well your recommendations were likely to work, or offer some better organic remedies such as digging out the root systems of these plants (which is, admittedly, a tough job). The above paragraph is just me voicing my concern about the efficacy of a treatment you recommended. If the treatment you recommend doesn’t work, no big deal. Right? At least you’ve helped us to avoid using Roundup because, as you say, its health effects aren’t understood. OK, I’ll buy that as a reason for not using Roundup. But if that’s your reason for avoiding Roundup, how can you possibly recommend applying clove oil? Sure, clove oil is organic, but it is composed primarily (usually 70-90%) of eugenol, a naturally occurring chemical. Have you ever checked out the MSDS for eugenol? It is classified as a carcinogen by RTECS (Registry of Toxic Effects of Chemical Substances). Not only that, its acute toxicity is generally considered to be higher than that of glyphosate (the active ingredient in Roundup) and doses as low as 5-10 ml have caused near fatal reactions in children. Here are a few links to back up what I’m saying, a good deal of which is available on Wikipedia if you’re feeling lazy. This is nuts! I have to admit that I am not particularly concerned about either glyphosate or eugenol if proper equipment is used and directions are followed, but there are people who are, and they have a right to be. Please Consumer Reports, if you’re going to protect us from Roundup, then have the decency to avoid recommending products that can potentially have effects that are similar or even worse, despite the fact that they are organic. As an advocate for consumers it would be great if you could help protect them by spreading the inarguable message that organic does not necessarily mean safe. Thought and discretion on the part of the consumer are still required, especially when products intended to kill or injure living organisms are being recommended. In your August 2015 issue, again in the YOUR ADVOCATE section, you post a letter from David Stone about using a vinegar, Epsom salt and soap mixture to control weeds instead of Roundup. In it you confirm that this mixture works and also suggest a citrus-oil based herbicide. As someone who has conducted trials on the homemade concoction in the letter, I can tell you that it does burn down weeds, but that Roundup is much more effective because it kills the roots of the plant. Adding Epsom salts to an herbicide is a mistake because, over time, repeated applications of this herbicide will increase the amount of salt in the soil (Epsom salt is, after all, a type of salt) and could damage other plants in the area. Why not just recommend the most effective, safest, and easiest to use herbicide available? Pull or dig the weeds out. About 6 months ago I wrote a little article about what I perceived to be the most significant problem within extension, which is that extension personnel, and specifically tenured and tenure track faculty, simply don’t receive recognition or credit for accomplishing their job. In this essay I’m going to give a specific example of this problem. Normally, when someone does what they are assigned to do, they are rewarded, or at least an acknowledgement is made that they are performing satisfactorily. For example, when a salesperson is given a job whose description says specifically that they are to sell vegetables, then, if this salesperson sells a lot of vegetables, his or her supervisor rates him or her accordingly. Sure, the salesperson’s supervisor could suggest that he or she help sell meat too, but if the supervisor doesn’t formally change the job description, then we would think it was pretty unreasonable to downgrade the vegetable salesperson too far for not selling much meat. The job assigned to faculty with extension appointments is to transfer research based information to the people who they are assigned to serve. Let’s take someone who all of you are familiar with as an example. Linda Chalker-Scott is assigned to deliver relevant research-based horticultural information to the public. Linda is a great example because she has done her job so effectively, using a multitude of techniques to spread information to an incredibly broad audience. She has published multiple books, one of which won the gold and silver award of achievement from the Garden Writer’s Association. She has published in newspapers and magazines such as Fine Gardening where she is currently a contributing editor, she is the most prolific writer on both the Garden Professor’s blog and Facebook page, she has appeared on Growing a Greener World, and soon you’ll be able to hear her 24 lecture course for the well known Great Courses series (I am so jealous of this!). The list goes on and on. By all accounts Linda has worked hard to become a nationally and internationally known source of research based information for the consumer. Right now she is probably the top urban and consumer extension horticulture faculty in the United States in terms of population reached and quality of information delivered. If you rate her anywhere out of the top three then please post a comment here to let me know who is doing a better job. 1. Start appreciating the work that extension faculty do. No, it doesn’t bring in big research dollars, and no, it doesn’t yield articles in journals like Science and Nature (Though some extension professors, like Linda, do such an incredible job scouring the literature on particular topics that they actually publish review papers on those topics. For example, Linda has published reviews on anthocyanins, mulches and biodiversity). What it does do is deliver useful research based information to the masses. It stops people from overusing phosphorus in their lawns, it teaches people to identify diseased plants, it encourages people to use appropriate techniques to combat weeds and pests, it informs the public about how dangerous GMOs really are. The list goes on and on. 2. Just give it up. If universities don’t want to reward, or even appreciate the work that extension faculty do in terms of public education then hey, let’s not have extension faculty. Instead we could hire non-faculty personnel without significant research knowledge to spread research information. No, they won’t have the same respectability without the Ph.D. or title (such as assistant professor, associate professor or full professor), and there’s a good chance that they’ll get things wrong because of their lack of research experience (which is why most Land Grant Universities currently have a hierarchy built into their extension systems with University based faculty on top distributing information to extension agents) but they won’t have the same expectations either – And the administration won’t have the admittedly sticky situation of needing to figure out what a faculty member’s extension work is worth as compared to another faculty member’s research and/or teaching. Maybe there’s a third option? I don’t know. All I can say is that it is time to have the conversation about what successful extension work is worth at the highest academic levels.